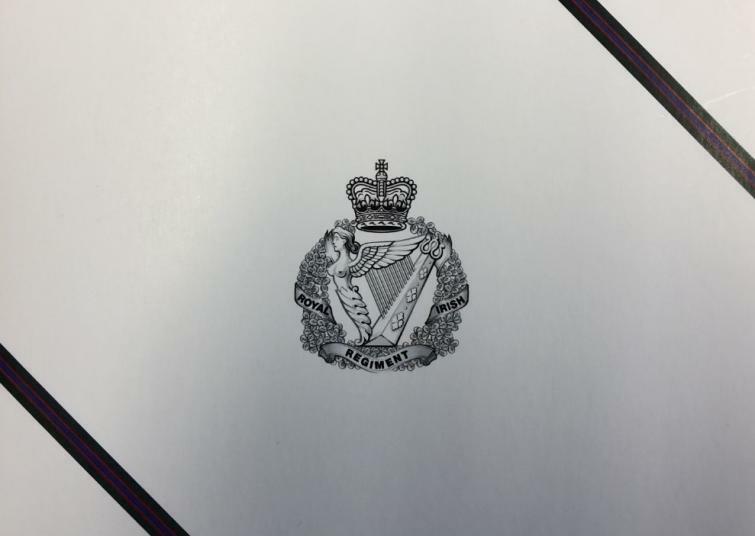 Pack of 6 Regimental Christmas Cards. Text inside reads "With Best Wishes for Christmas and New Year". Proceeds to The Royal Irish Regiment Regimental Charity 1052056.